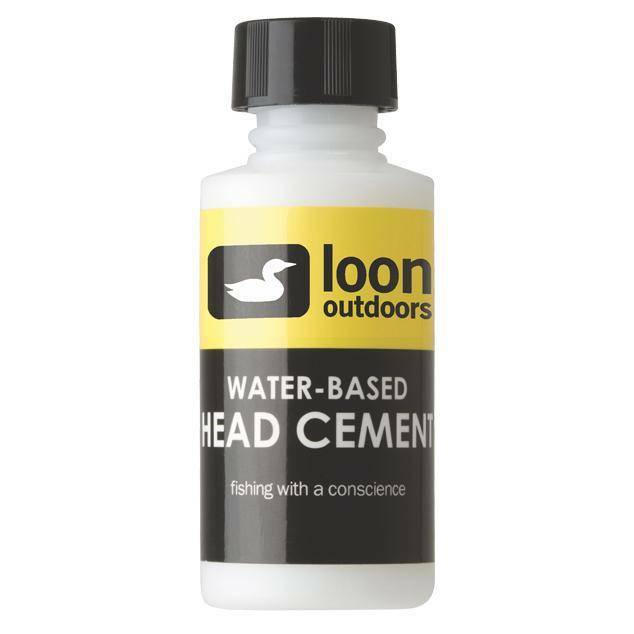 Loon WB Head Cement Bottle, A thin, odorless, non-toxic water-based head cement with applicator system for precise applications. Loon WB Head Cement Bottle, A thin, odorless, non-toxic water-based head cement with applicator system for precise applications. 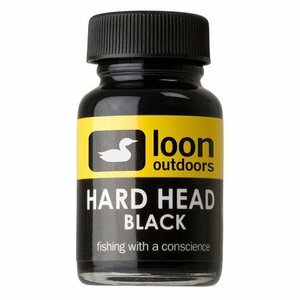 Never breathe toxic or smelly fumes again! Use applicator brush on lid. Apply desired amount to fly with applicator needle or applicator brush. 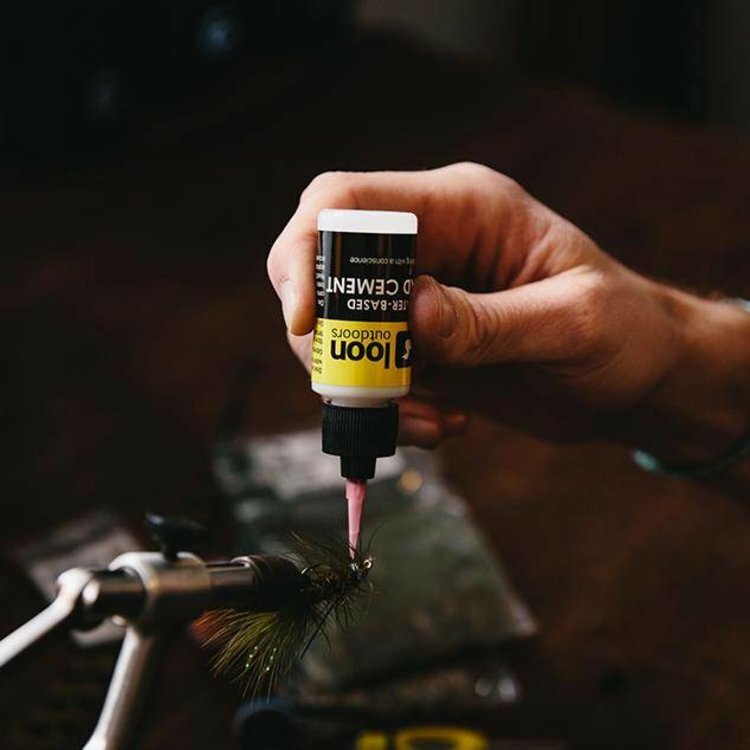 When finished, cover applicator needle with supplied cap or replace lid to resist drying of cement. 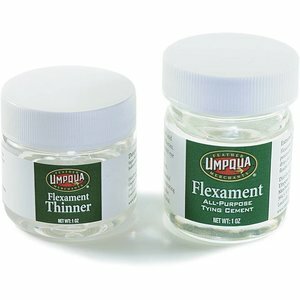 Dries crystal clear and stays slightly flexible. 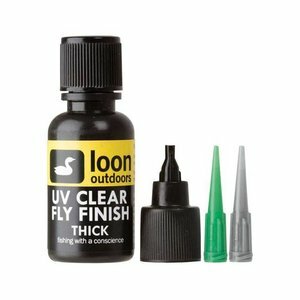 Also works well for coating hopper wings. 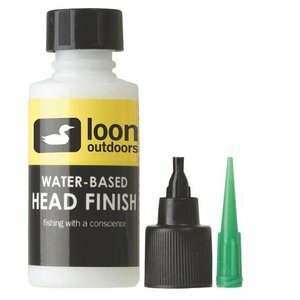 Loon Hard Head, Never mix epoxy again! 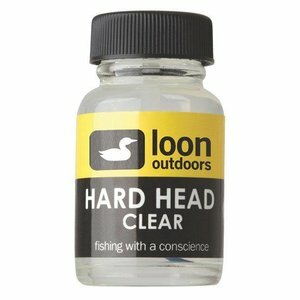 Hard Head is an odorless, non-toxic, thick head cement perfect for building glossy heads and bodies. Dries hard and glossy. 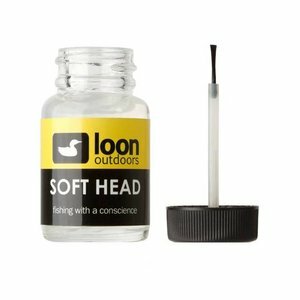 Loon Soft Head Clear, Fly tying thick head cement that dries soft and pliable. 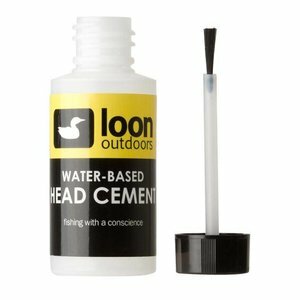 Loon WB Head Finish System, A medium-thick water-based head cement with applicator system for exact placement of water based head cement.